Cole Edick is a program assistant for both the Education Research and Anxieties of Democracy programs at the Social Science Research Council. He graduated from Harvard University with a BA in social anthropology and a secondary field in Theater, Dance & Media. 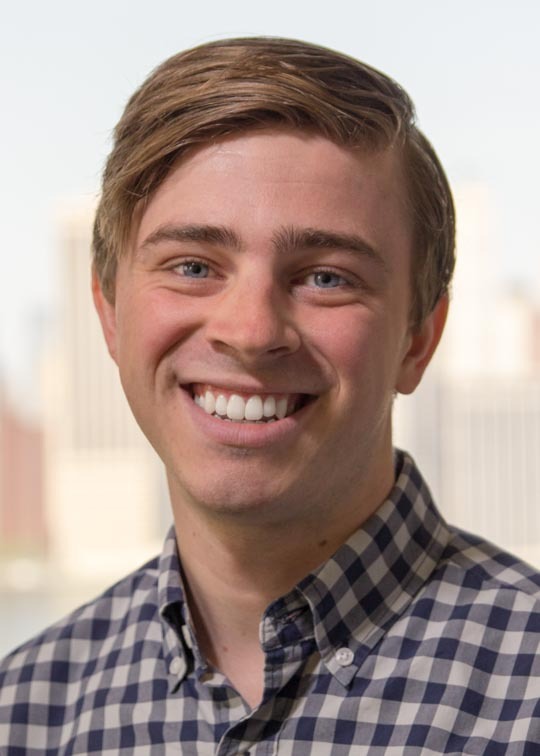 His honors thesis, "BINJworthy: Rethinking Truth as Authenticity in a Boston News Landscape" was an ethnography of the Boston Institute for Nonprofit Journalism, a freelance journalism incubator. During his time at Harvard, Cole was an actor, director, and lighting designer for the Harvard-Radcliffe Dramatic Club, as well as a volunteer for Harvard CIVICS, teaching a once-weekly 5th-grade civics curriculum in Boston Public Schools. Cole Edick and Kris-Stella Trump, A Political Science Research Agenda on Climate Change (11/21/2017), https://items.ssrc.org/a-political-science-research-agenda-on-climate-change/. Social Media and Democracy: Assessing the State of the Field and Identifying Unexplored Questions, Kris-Stella Trump, Jason Rhody, Cole Edick and Penelope Weber (6/4/2018), http://doi.org/10.17605/OSF.IO/QE9P7.